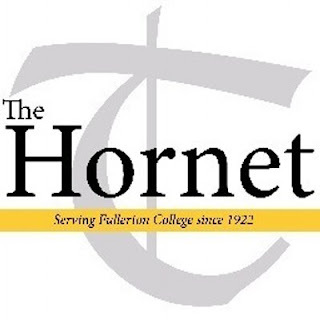 In 1976, I was a freshman in college and a reporter for The Hornet, the school newspaper. Fullerton Community College (FCC) back in those days was a small college with a good reputation for multiple disciplines. I was married to the woman of my dreams, Shirley, and we had two boys. Both just babies. Shirley and I both worked fulltime jobs, and both of us were taking college courses. I had an epiphany that year and made the choice to be a journalist instead of pursuing an English major that didn't seem to have a payoff soon enough for a growing family. One, I was a Vietnam veteran going to school on the GI Bill and older than most of the students in my classes. I was 26-years old. Two, as a combat veteran, I was still able to function under fire, as it were, and handle horrific situations. Later, PTSD would catch up to me, but not before I had a 21 year career in journalism as an editor and publisher. My first hard news story was a public suicide. A student in the classroom directly across from The Hornet newspaper (where I was working at the time) blew his brains out in the front of a classroom, to the horror of 30 some students and a teacher. I heard the shot clearly and recognized that it was a gun shot. Even as my brain registered that fact, I was moving swiftly to the source of the shot...instinctively checking out the situation. Students poured out of the classroom, shrieking and crying. When I entered the room I saw the shooter's body partly held up by a desk. The chalk board was splattered with his brains and blood. I took in the scene and realized there would be no more shots. Then the police and first responders came. Local newspaper reporters interviewed me. When they were done - and the police were done - asking questions, I wrote the story that day. It was published the next day in The Hornet. Despite that horrendous sight, I was still able to compartmentize my brain enough to write the story while it was still fresh. That's when I knew I could do the job, and write about anything.